Sydney Shop Girl: Surviving the Saturday Heat With Air Conditioners and Fans Running Simultaneously. Surviving the Saturday Heat With Air Conditioners and Fans Running Simultaneously. 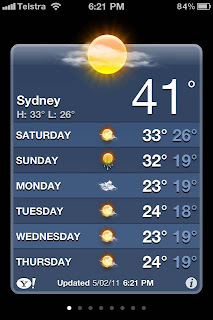 Okay, Sydney, are you still with us? SSG is up to speed with 2010 technology. I've just learned how to screen shot on my iPhone 4. Go me. Wasn't today H-O-T? I think it was around 35C by mid morning. The word on the street is double cooling with both your fan and air conditioner running simultaneously. Also, don't freak out when you get this month's electricity bill and see that it will probably be around the same amount as your mortgage repayments. I was out for a run at the crack of dawn and all I could hear on the streets was the hum of air conditioners where usually there would be a fair bit of traffic on the road. I had my last banana for breakfast. With the devastation in Queensland, banana supplies across Australia are going to be critically low for the next few months. I started my banana fast with flair. I mashed it and had it over fruit toast, ricotta, honey and cinnamon. The shops were packed with people seeking respite in the air conditioned arcades. Dads entrusted with the kids for the morning could be seen thrusting cold drinks down the throats of mostly compliant young throats. Mr SSG and I braved yoga this afternoon and were rewarded with a Bikram experience and free spa facials. We have glowing skin and have possibly lost a few kilos each. Which we replaced at Maccas with a tepid orange juice because the slushie and ice machines died. In other dramatic developments, I found it impossible to find something to wear for Darwin in May. I know, how inconsiderate of stores to be stocking full winter in this heat. My needs are specific. Something sleeveless that will fit under a black gown and head piece and photograph well (I think I'm joking on that last point). I am thinking a dress with a vibrant print. Today was Scanlon and Theodore trial day. Sorry, no pics. It was a communal mirror store and the sales staff were being very attentive. I'll keep you posted. You know how I try and be frugal and cut spending in some areas to compensate for spending in lots of others? Today's purchase of an eco cup was meant to celebrate this plus being kind to the environment. I'm planning to have my daily cups of instant coffee in this mug and also taking it to the work coffee cart on Wednesdays for my once a week purchased coffee indulgence. According to the sales assistant at Hart & Heim, pink always sells out first! These mugs cost $14.95. I got mine in Chatswood Chase at Hart & Heim. The mug is china and double walled - dishwasher safe. The removable silicon top and cuff are hand washable. I like the authentic heat warning on the sippy top. The only downside is that the cups only fit around 238 mls or 8 oz. I don't think that's even big enough for a small take away coffee at work, I can't function on less than 350 mls of coffee a day. What will I do? Oh yes, my 'Respect My Authority Because the House of Gucci Demands It' specs arrived. Yes, I am as blind as a bat. 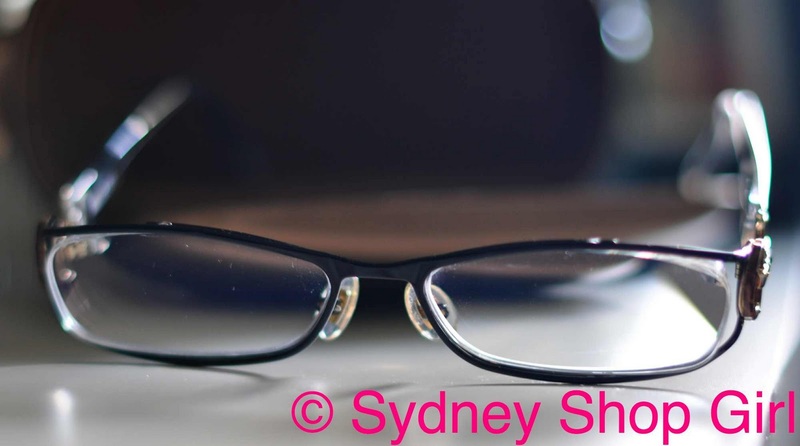 Even with the thinnest lenses possible, the plastic still sticks way out from the frame. I am especially enamored of the horsebit / bamboo detail at the hinges and the black tortoise arms. I think I'm going to wear them to work all week. And use the mug daily. On a cost per wear/use basis, I think these two will pay for themselves. How to spend the rest of this stinking hot evening? I'm going to be lying on the couch reading my latest Kindle novel. I'm in a macabre mood at the moment. Just finished a Jodi Picoult novel and am now on to Patricia Cornwell. But murder / legal thrillers are so absorbing. I just keep turning the pages, focussed on the plot. I absolutely refuse to watch The Biggest Loser. I find it very degrading and humiliating for everyone involved. to be honest. The central messages of good health, self respect and self discipline are noble but what I've seen so far upsets me. 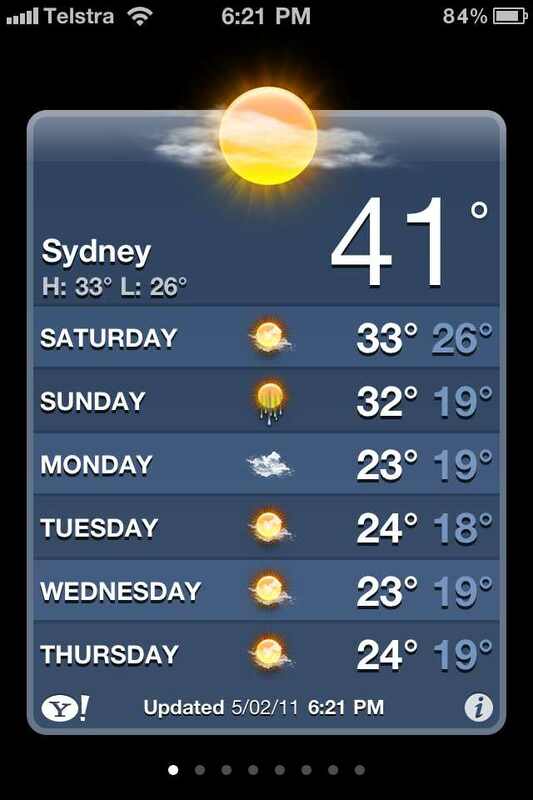 The heat in Sydney is insane! I say this in Brisbane, having just emerged from floating around in my pool on a tyre all afternoon! 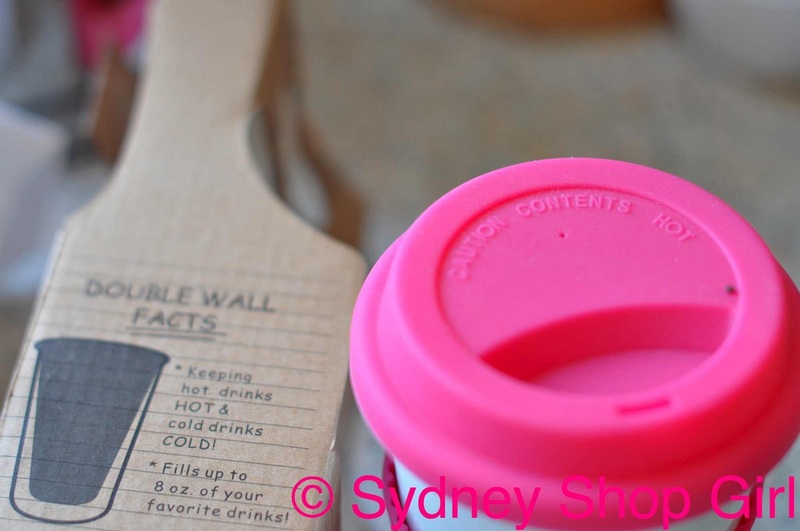 LOVE your eco cup - especially seeing it's pink! 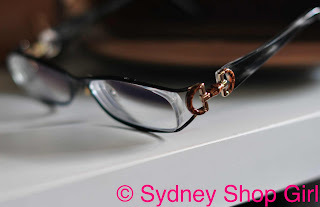 Also loving the Gucci specs! Glad to see your technological iPhone weather forecast sees the temperature (kind of) dropping soon! Stop Press. YOU'RE COMING TO DARWIN?! Miss Posy: will be there in May!! Do you live there? 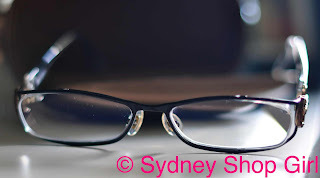 Very stylish glasses. With my student budget I stick with Specsavers FCUK ones. With Darwin, isn't it generally quite temperate there? 32.0 is the average temperature apparently for May. Also I agree with you about the difficulty of sourcing winter clothes. I'm on the hunt for winter basics because I will not have much time to shop when I begin interning in April - no store I can find has decent 3/4 sleeve tops! Not even Supre Basics. Hmm. Will wait till March. 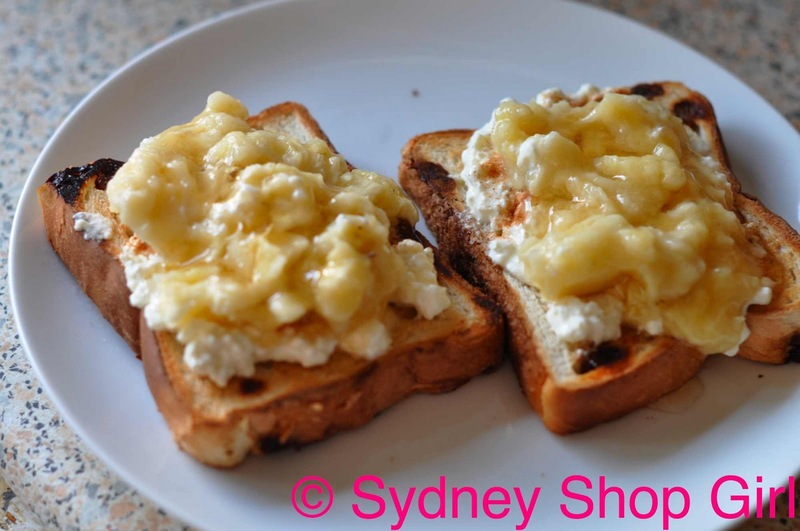 Oh and the biggest loser is pretty bad trash TV but some of the people are from Newcastle and they feature places I like to eat at :( - mind you I never eat Chicken Parmigiana or entrees. The heat and humidity in Melby is insane too! (Tho today was cool). Do you agree it's getting hotter later in the day? I like your enviro cup. I have a KeepCup at work (www.keepcup.com.au) but I don't drink coffee. WOW! That is hot, hot, hot. I'll stop complaining about it being 5 degrees now because I'd rather be cold than hot! 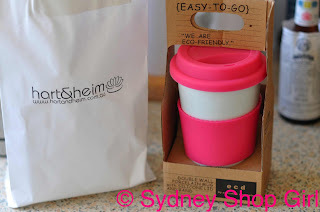 Loving the Eco cup - I take mine everywhere now and bought a second one for work. In the words of Kath Day Knight "I got one word to say to you" OUTNET!!! I love being an enabler so how about these 2 little number. Stylish: glad you're getting lots of use out of your Eco cup. S&T is my downfall. I found 17 tags in my wardrobe from 2010 alone. oops. Bad addiction since 2004. I can do nothing without Air conditioner!